While rumours and details first began to surface a little over a week ago about a new AMD graphics card, today marks its official unveiling and launch. The Bonnaire XT GPU has been christened the Radeon HD 7790 1GB, and as such sits in between AMD's Radeon HD 7770 1GB and HD 7850 2GB SKUs. 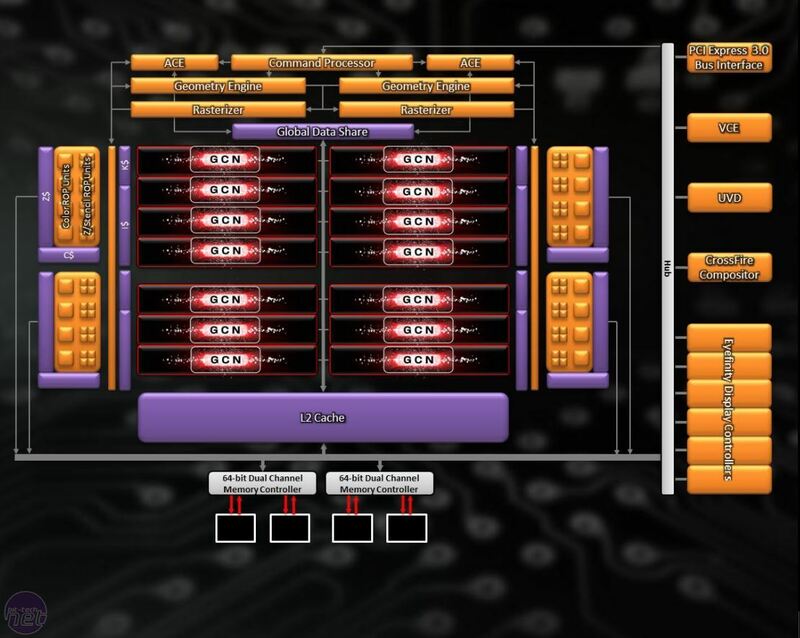 It's based on the South Islands architecture, and is built around a new 28nm chip consisting of 2.08 billion transistors. The HD 7790 1GB stock cards are set to enter the market for £120. With HD 7770 1GB cards costing just under £90 now and HD 7850 2GB cards costing around £150, the new card fills a gap in AMD's pricing structure rather neatly. However, unofficial Radeon HD 7850 1GB cards can be found for about £125 now, and our testing demonstrated that at 1,920 x 1,080 there is no discernible difference in performance compared to the 2GB model, so the HD 7790 1GB still has its work cut out for it, as it's 1080p gamers that the HD 7790 1GB directly targets. The closest competition from Nvidia is the £100 GTX 650 Ti 1GB, which AMD claims the HD 7790 1GB easily outperforms. However, Nvidia is rumoured to be producing a faster model of the GTX 650 Ti, which now seems likelier given this launch. Not only that, but the next card up in Nvidia's range is the £170 GTX 660 2GB, which leaves a sizeable chunk of the crucial mid-range market uncovered by the green side, at least for now. 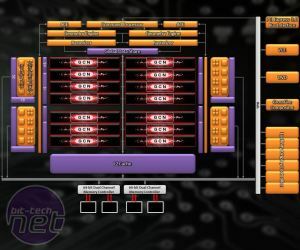 The new HD 7790 1GB GPU consists of 14 Compute Units, just two less than the HD 7850 2GB. As such, it has a total of 56 texture units and 896 stream processors. Although part of the 7700-series by name, the HD 7790 1GB shares the same dual front-end design as the 7800 and 7900-series cards, sporting a pair of geometry engines for tesselation duties alongside a duo of rasterisers. The HD 7790 1GB also has a couple of 64-bit memory controllers for a total 128-bit memory interface, as well as 16 ROPs, so in these regards it is akin the HD 7770 1GB. At stock speeds, the GPU runs at 1GHz and the 1GB of GDDR5 memory runs at 1.5GHz (6GHz effective), a third faster than the HD 7770 1GB's 4.5GHz memory. AMD's PowerTune and ZeroCore technologies also return with the HD 7790 1GB, with both used to help manage the card's power output. Essentially, the former alters voltage and clock speeds on the fly, for supposedly improved power efficiency, while the latter puts the card into a low power state when it isn't displaying a signal (i.e. when your monitor is switched off). AMD claims the new card has a typical power draw of 85W, just 5W more than the HD 7770 1GB. 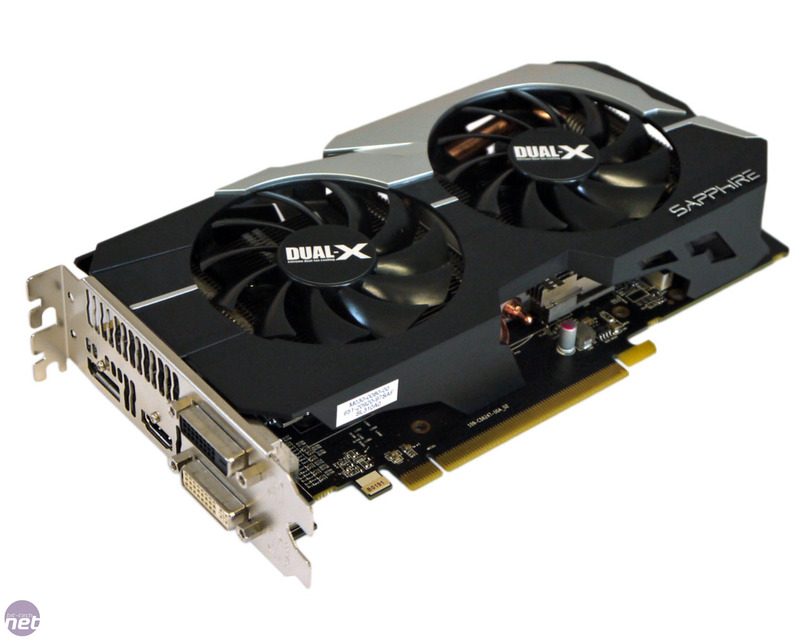 The card we've got our hands on for testing is Sapphire's Dual-X edition, which will retail for around £130. It's a dual slot model that is 216mm long. The rear I/O panel consists of an HDMI output, a DisplayPort connection and two dual-link DVI ports. Sapphire has applied a 7.5 percent overclock to the GPU, taking it to 1,075MHz, as well as taking the memory up by just under 7 percent to 6.4GHz effective. This takes its memory bandwidth up from the stock 96GB/s to 102.4GB/s. We'll be testing at both stock speeds and Sapphire's overclocked ones. All of the card's components are on the front side of its PCB, with the GPU in the centre surrounded by four 256MB memory chips. Sapphire seems to have missed the memo that size isn't everything, however, as for some reason around two inches of the PCB at the far side is filled with exactly nothing, though it does provide some protection for the over sized cooler. The card is powered via its single top-mounted 6-pin PCI-E power connection. Four power phases near the rear I/O panel serve the GPU, while an extra one serves the memory, for a total of 5+1 phase power. A single CrossFire bridge is also found, thereby enabling multi-GPU set-ups. 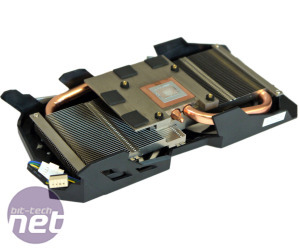 Sapphire's Dual-X cooling solution comprises two 80mm fans and a single large heatsink (although the main VRMs also have a tiny heatsink of their own). It's encased in a black and grey plastic shroud with angled edges, but as this doesn't fully seal the heatsink hot air will be exhausted into your case as well as out of the rear I/O panel. 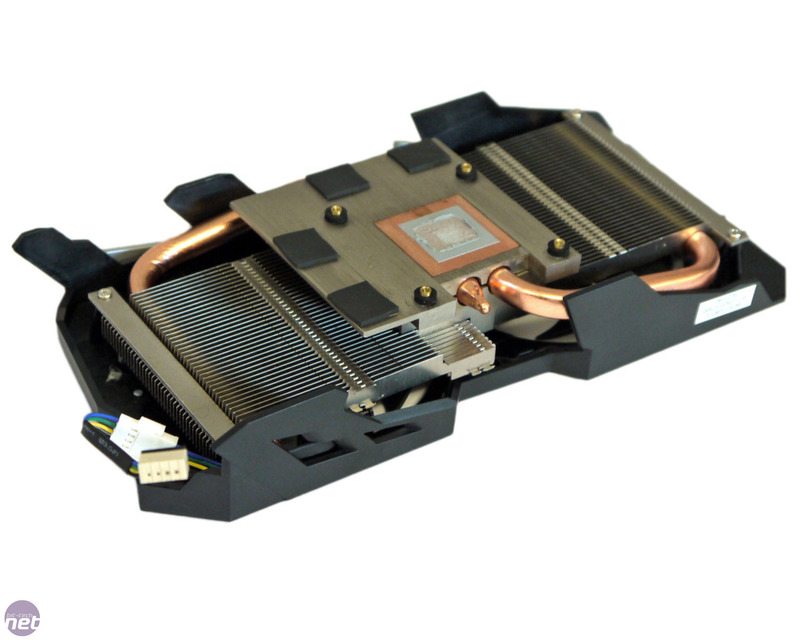 A large copper baseplate completely covers the GPU, and the memory chips are also covered by foam padding on a flat aluminium surface. A pair of copper heat pipes transfer heat into the large aluminium fin stack, which is then cooled by the down draft fans.